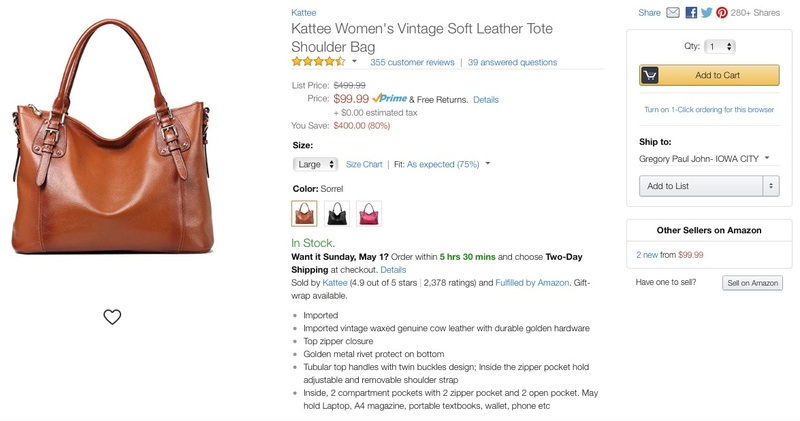 Some products are being advertised on Amazon showing inflated retail pricing and savings. 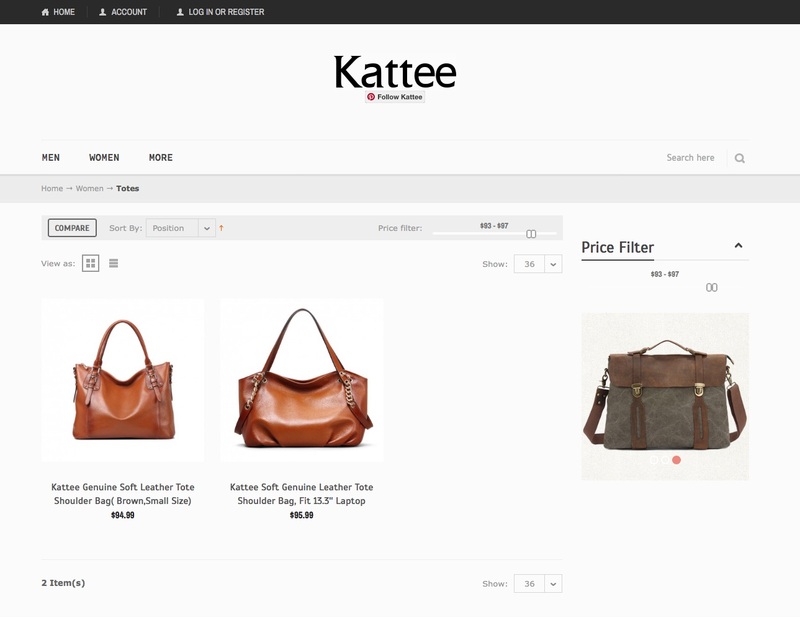 On Amazon, the handbag shown below from Kattee has a sale price of $99 and the List Price is shown as $499 with a total savings of $400. However, if you check the manufacturer’s website, you’ll see the actual retail price is $94. So, the Amazon price is not a savings of $400. It’s $5 more than you’d pay if buying from the manufacturer. As you can see, the same handbag (shown below at left) is $94.99. on the manufacturer website.